In the midst of reflective fantasy, a young woman’s inner thoughts arouse a surreal exploration of sensuality, self-esteem, and deeply rooted fears. Her arrival is one of strength and beauty. Bronwyn Maloney is a New York City native with a background in fine art and theater production. A graduate of Bennington College, she has studied design and performance techniques for theater, dance, and film. She is currently a Masters candidate in Experimental Animation at CalArts. Serpentine is her first student film. 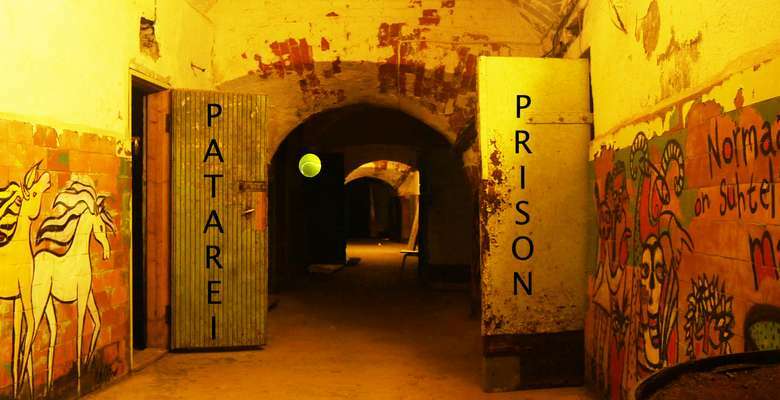 During the period of 1920-2002 Patarei (Tallinn, Estonia) was a prison. Until quite recently you could visit the empty rooms. These spaces are explored, in the film, by a naive, bouncing, tennis ball. The idea of this artistic “performance” was to relate the architecture spaces of a prison. Ricard Carbonell has a PhD in cinema from the Complutense University of Madrid, has diplomas from the universities of Barcelona, ECAM Madrid and Microobert (Barcelona). Today he is teaching Cinema at TAI Cinema School (R.J.C. University) in Madrid.